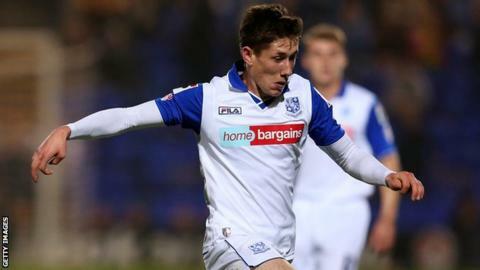 Tranmere Rovers midfielder James Rowe has signed a new one-year contract. Rowe joined Tranmere in July 2013 after being released by Conference Premier side Forest Green Rovers and has scored once in 23 appearances for the club. Rovers, who are 21st in the table, will be relegated to League Two if they lose at home to Bradford City on Saturday. "I am desperate for the club to get the result it needs against Bradford and stay in League One," the 22-year-old told the club website. "The fans have been great with me since I've been here and hopefully we can send them home happy."